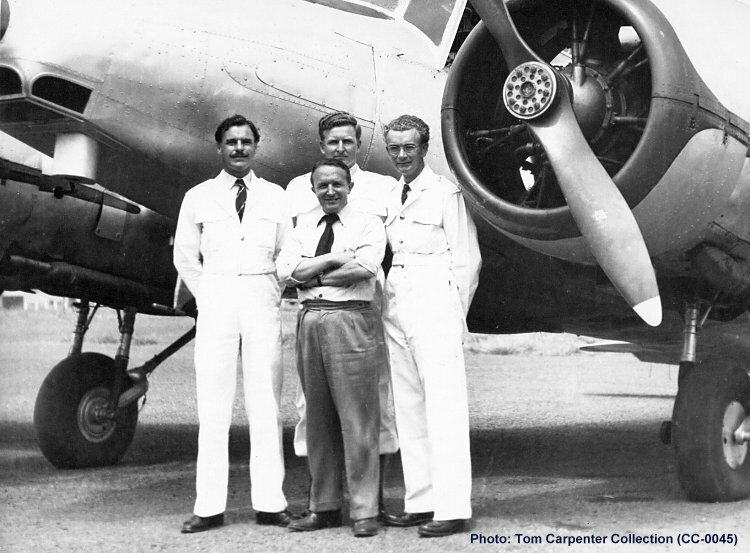 Photographed at Kingaroy in October 1951 are (in white overalls, left to right) Bob Mitchell (Pilot), Tom Carpenter and Norm Moggs (Engineer). Standing in front is the famous photographer Peter Payens. Tom Carpenter's log book suggests that the Anson is VH-AGO.